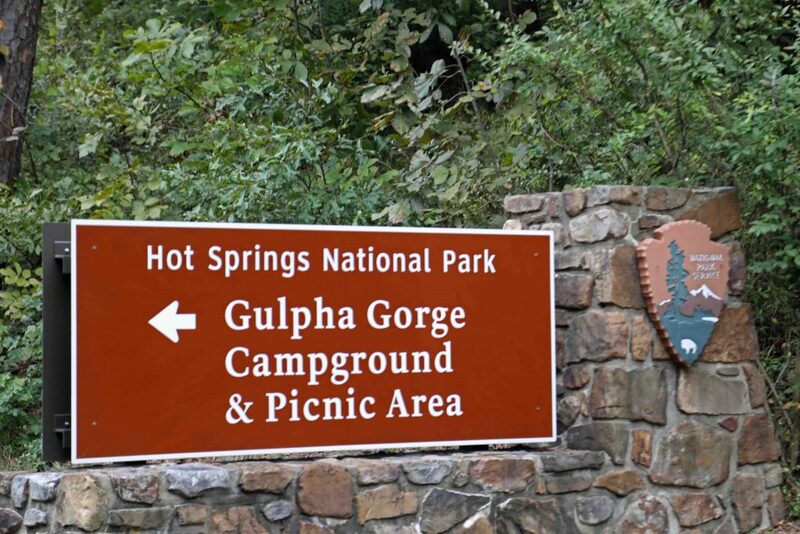 The Gulpha Gorge Campground is the only campground located in Hot Springs National Park. 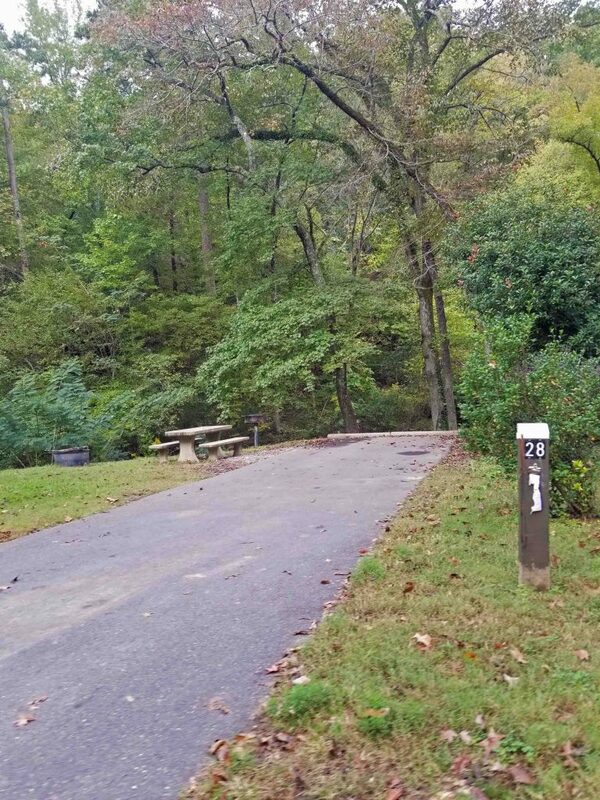 The Hot Springs Campground is a fantastic way to get out and enjoy the natural beauty in this park, especially as most park visitors focus on the bathhouse row area and miss out on the natural beauty this park has to offer. I have found that the more time you spend here, the more you enjoy Hot Springs National Park! 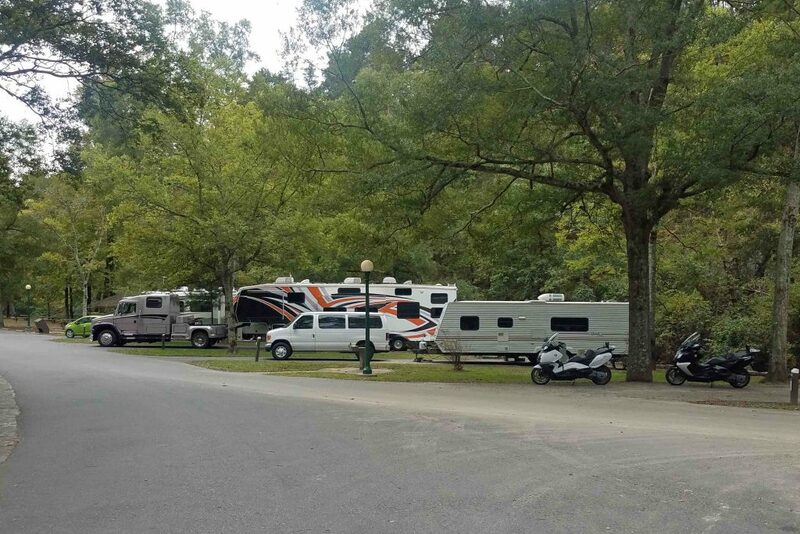 The Gulpha Gorge Campground at Hot Springs National Park has a beautiful setting in what seems like miles away from bathhouse row and the bustle of the city of Hot Springs. 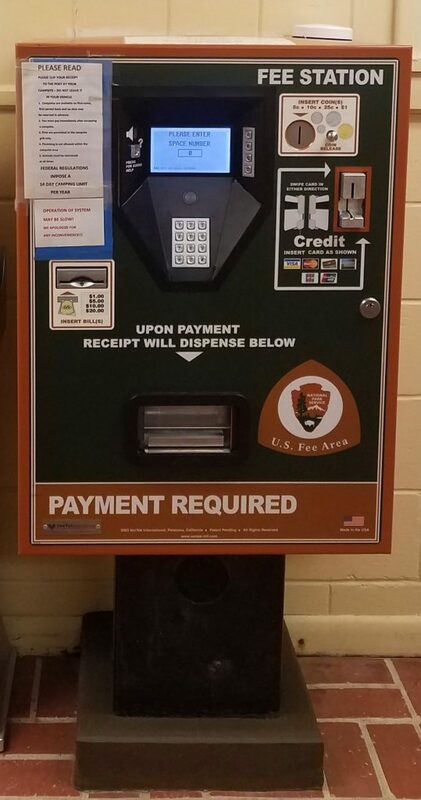 Here you will find more traditional park activities like a park amphitheater with ranger programs, hiking trails and wading in the Gulpha Creek. 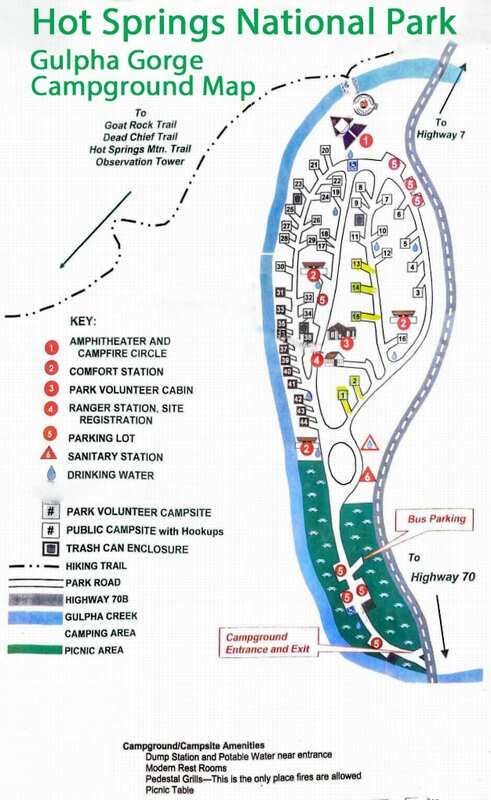 The campground is set up for RV’s as each site has a paved parking area and full hookups with both 30 & 50 amp service. You can still have a tent but you will be placing it on the paved parking area as tents are not allowed on the grass. This means you will definitely need some sort of pad to sleep on. I would consider sites 20-44 to be the premium sites as they are located along the Gulpha Creek while sites 1-16 are located next to Highway 7S. During the day this is a very well traveled road and people could find this very distracting. All sites have full hookups: 30 and 50 amp electric, water, and sewer connections. Each campsite has a picnic table, pedestal grill, and water nearby. There are no showers in the Gulpha Gorge Campground. There are flush toilets and electricity in the bathrooms. The bathrooms are located close to the campsites. Pets are allowed if on a leash and under control at all times. There are no Fire Rings in campsites but there is a nice big group fire ring with benches available for use with a permit. 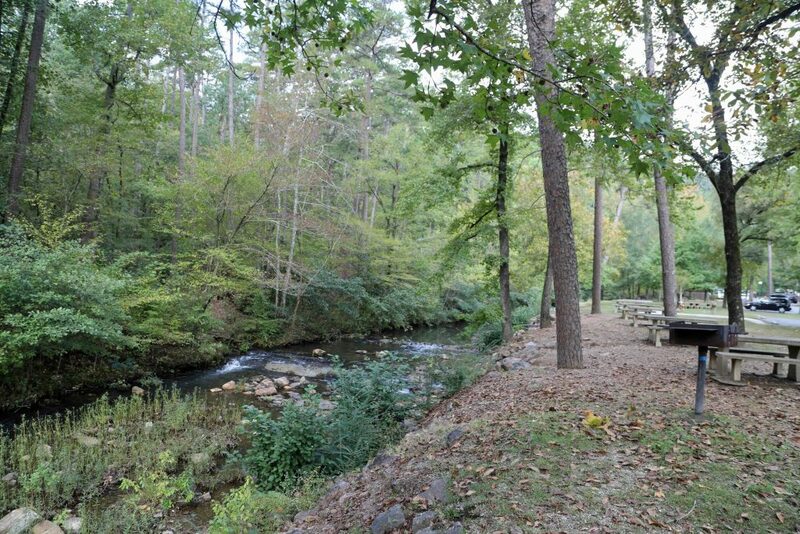 Gulpha Gorge Campground is located off US Hwy 70B on the east side of Hot Springs. Hot Springs National Park does not have any cabins for rent, however, you can visit Arkansas State Parks for your Hot Springs Cabin Rentals. You can rent one of 20 cabins or a yurt at Lake Catherine State Park which is only located 20 Minutes away from Hot Springs National Park. check out their website for more information and to make reservations. 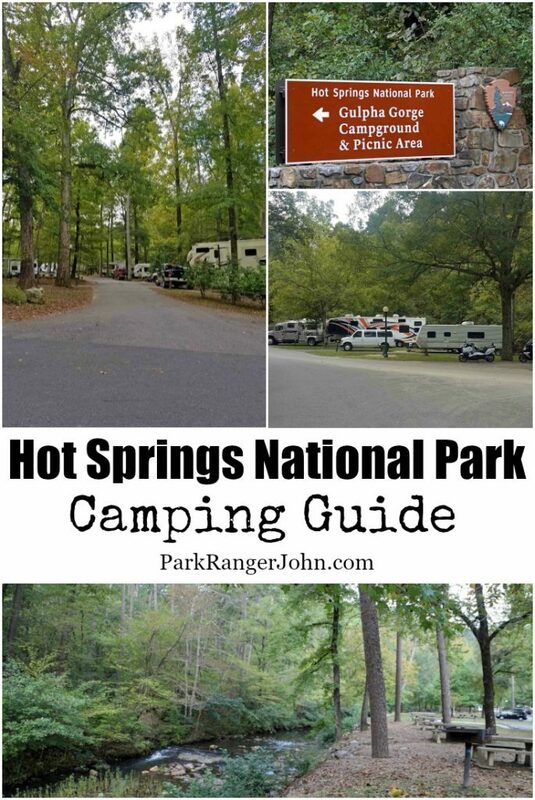 Now you have the information you need to go camping at Hot Springs National Park. 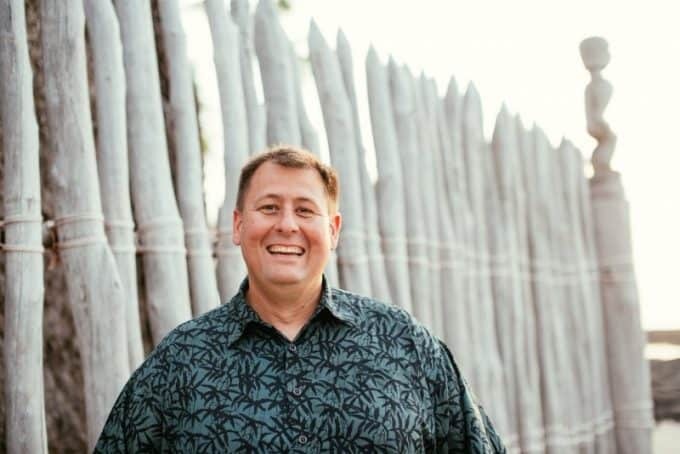 Make sure to also check out my other articles on Hot Springs National Park like Travel Tips, Things to do and hiking so you can start planning your dream vacation.